What I love about this campground is the simplicity. It’s a gravel road on a plateau overlooking the Pacific, with access to the beach and some picnic tables. Isn’t that all we really want? Most sites have an ocean view. I arrived near 11am (check-out time). Most deals had already been done, but there were a few spots remaining. I’m a lazy camper. One of the reasons I got the “23D” Airstream model was this bank of windows. I sat. I watched the ocean and listened as the tide approached. Did some Sudoku. Sipped hot chocolate. But there comes a time mid-trip when you realize it can’t go on forever. Grass is growing at home. Your inbox is straining to capacity. Co-workers begin to wonder what happened to you (“does he still work here?”). The window of time to drive the last 3-4,000 miles is dwindling. It’s time to turn around. 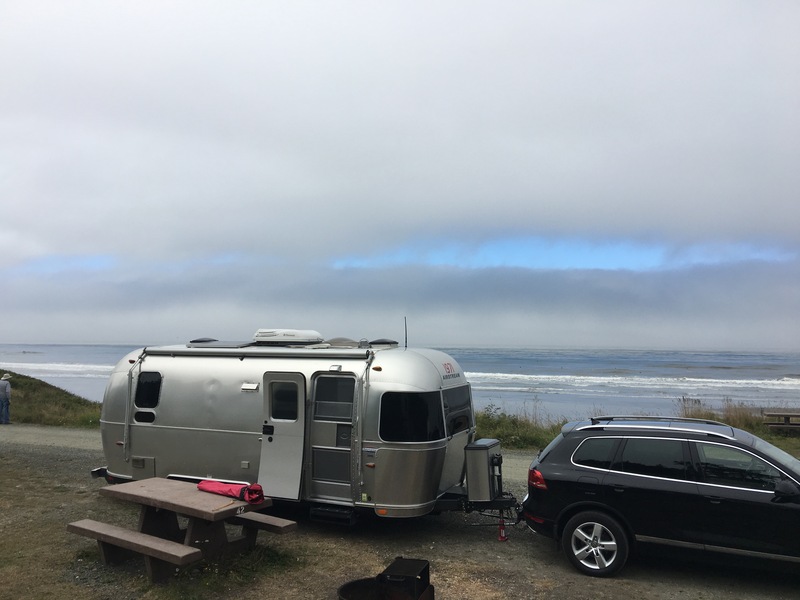 Looks like a great trip and a beautiful view of the Pacific! Thanks for sharing!